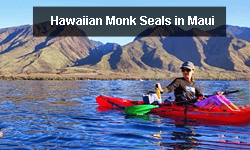 You are here: Home / Blog / Maui Kayak / Migaloo Spotted in Hawaii? 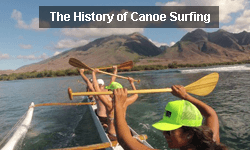 But now that we’ve got your attention, here’s some real Facts, Photos and RARE Video of Migaloo (white humpback whales). First seen in 1991 off the coast of Australia, Migaloo, meaning “white fella” in the Australian Aboriginal Community, has become Australia’s most famous humpback whale. 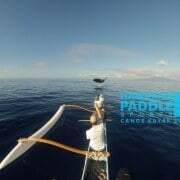 For a long time it was believed that Migaloo might be the only white whale in the world, but in 2008, another white whale, Bahloo, was seen swimming near the Great Barrier Reef, noted for the distinct black spots on its head and tail. In 2011, another all-white humpback whale calf was spotted around the Great Barrier Reef, named “MJ”, or Migaloo Jr. (presumed to be Migaloo’s baby, but without evidence), and in 2012, yet another white whale named Willow was spotted in the Arctic close to Norway. 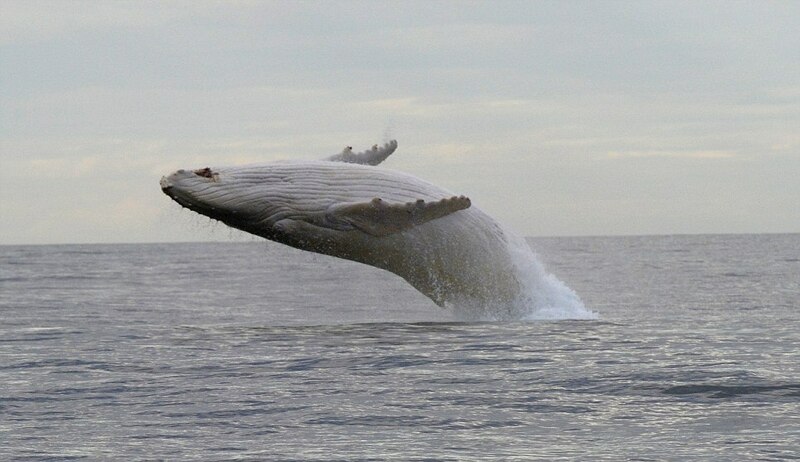 A member of the Eastern Australian humpback whale population, Migaloo annually migrates an estimated 5,000 miles from Antarctic feeding grounds to tropical mating/breeding grounds near the Great Barrier Reef in northern Australia. 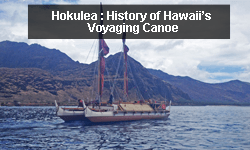 His journey is similar to the migration patterns of Hawaii’s humpback whales who feed in the cool waters off Alaska and breed in Hawaii. To track Migaloo’s annual travels, the White Whale Research Centre has established an online system that allows scientists and whale watchers log their Migaloo sightings. This database, along with annual whale counts, has helped scientists keep regular tabs on the rare whale. Since record keeping began, Migaloo has been spotted over 50 times, and whale watchers from around the world eagerly anticipate his appearance year after year. Migaloo is currently believed to be in his early-thirties, and after hearing recordings of melodic songs in 1998 and sampling DNA in 2004, it has been officially confirmed that Migaloo is a male. 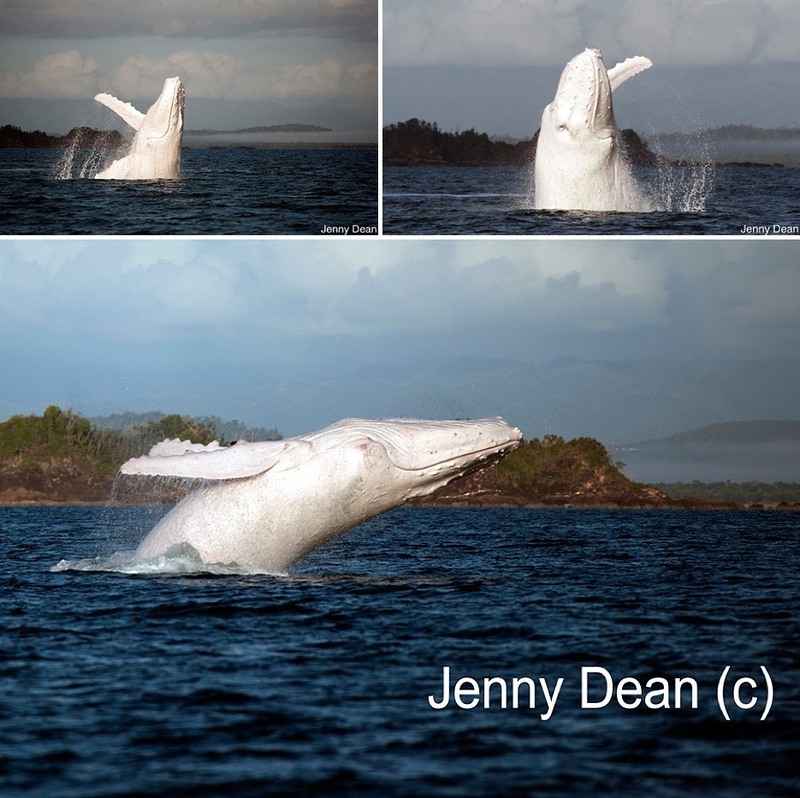 Due to the amount of attention he receives for his unique appearance, Migaloo is protected under special Queensland and Commonwealth Government legislation, prohibiting vessels from approaching closer than 1,500 feet and aircrafts no lower than 2,000 feet. Fines for breaching this law (no pun intended) are $16,500. As in humans, albinism in marine mammals is an inherited condition where a body can’t produce melanin, a chemical that is responsible for pigmentation. Individuals with albinism typically exhibit white or light skin and hair in addition to pink or red eye coloring. Although rare, albinism has been reported in 20 different whale and dolphin species, including humpback whales, bottlenose dolphins, sperm whales, and pilot whales. 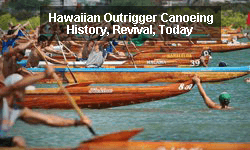 In some cases, pigment may be reduced but not fully blocked. Known as leucism, the condition results in animals that are unusually lighter in color, typically a light gray or white. Unlike true albinism, however, animals with leucism have dark eyes and areas of normal coloration. 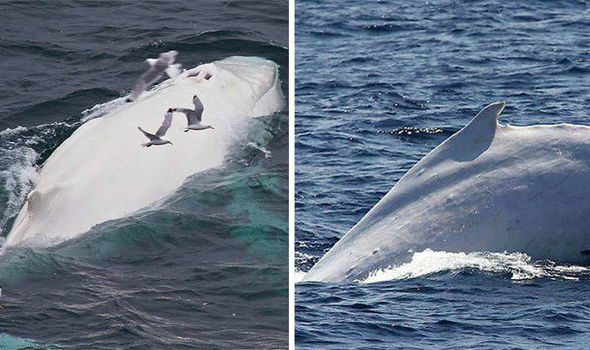 Interestingly, scientists have not yet been able to confirm if Australia’s famed Migaloo is an official albino whale. Albino whales like Migaloo face increased survival challenges in the wild. 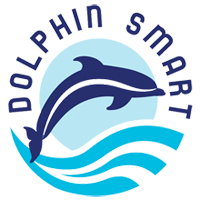 Many marine mammals, including spinner dolphins and humpback whales, employ a type of camouflage known as “countershading” where their bodies are dark on top and light underneath. If viewed from above, these animals blend into the depths of the sea. If viewed from underneath, they appear to be part of the ocean’s surface. 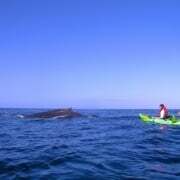 Without countershading, white whales may be easier targets for predators – particularly as calves. Lacking dark pigmentation, white whales may also be more susceptible to sun damage and skin cancer. Albinism in humans has furthermore been linked to impaired vision. 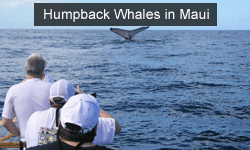 And although the public is eager to get a glimpse of the rare albino whales, human disturbance can increase stress, increase the potential of vessel strikes, and impact the whale’s feeding and reproduction. 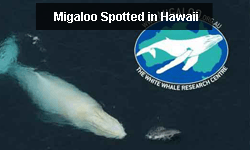 Will Migaloo Ever Come to Hawaii? 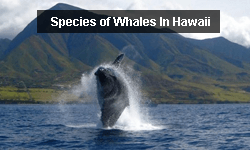 While we never say never, the chance of Migaloo making an appearance in Hawaii is highly unlikely, as whales in the North and South Pacific are on different seasonal cycles. 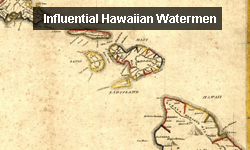 For example, when Hawaii’s whales are feeding in Alaska during the North Pacific’s summer (June-August), Migaloo is mating in the warm waters of northern Australia (and vice versa). Plus, it would be a really, really long swim for Migaloo to travel all the way from Antarctica to Hawaii on only one belly of krill. Of course you don’t have to be in Australia to enjoy the fun. Follow Migaloo’s migration online or even send him a Tweet. 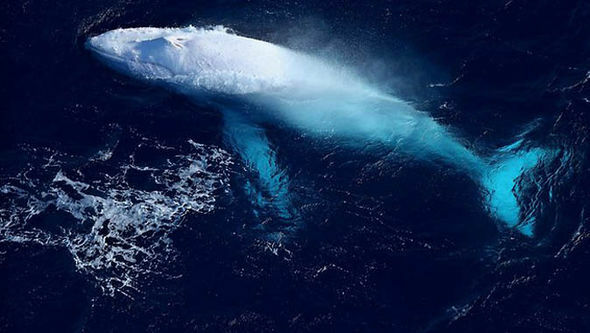 The last sighting of Migaloo was in June 2014 off the coast of Cape Byron, Australia’s most easterly point, and anyone lucky enough to spot him should always report the sighting to the White Whale Research Centre. 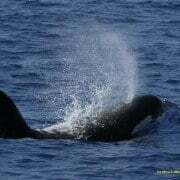 For more information about Migaloo, you can follow him on Facebook and Twitter. Seriously. 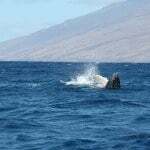 And while Migaloo or any other white whale has yet to be seen in Maui waters, we aren’t opposed to keep looking! 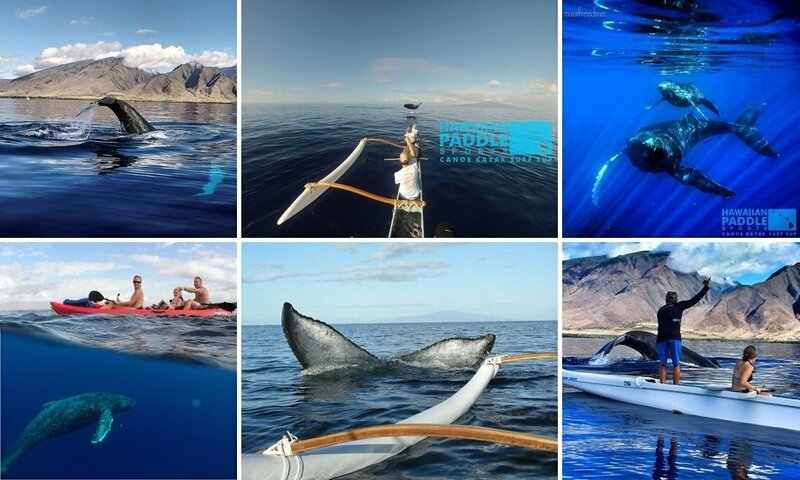 In the meantime, we hope you’ll join us for a unique kayak whale watching tour or outrigger canoe whale watching tour to see many amazing humpbacks of the Hawaiian variety, complete with close-up views of these amazing animals. 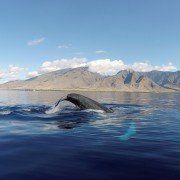 With us, you’ll enjoy an uncrowded whale watching experience with on-level views and no distracting noise from boat engines or tons of passengers. 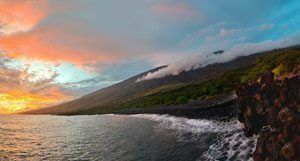 It’s truly a can’t miss experience when in Hawaii, so if you’re planning a trip to Maui between December and April, make sure to reserve some time to join us on the ocean. 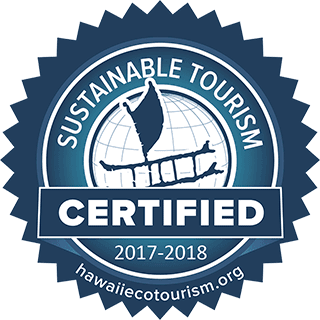 Tell us about your favorite whale watching experience in the comments below, and mahalo for reading!